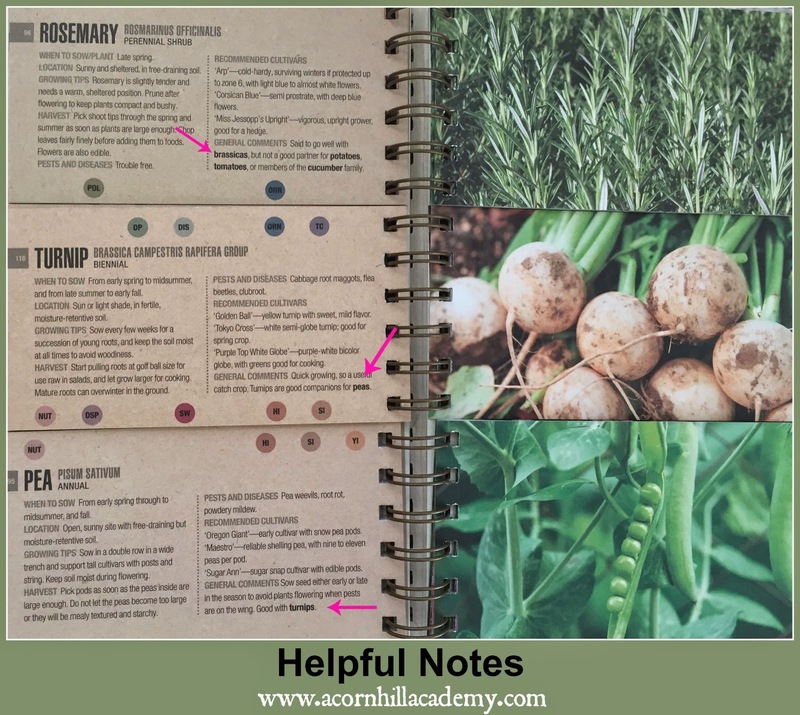 Acorn Hill Academy: Want to Learn About Companion Planting? I love to garden. I mostly love to plant flowers, but I've recently become interested in growing my own vegetables, too. I've heard a lot about companion planting, and have been interested to learn more about it. 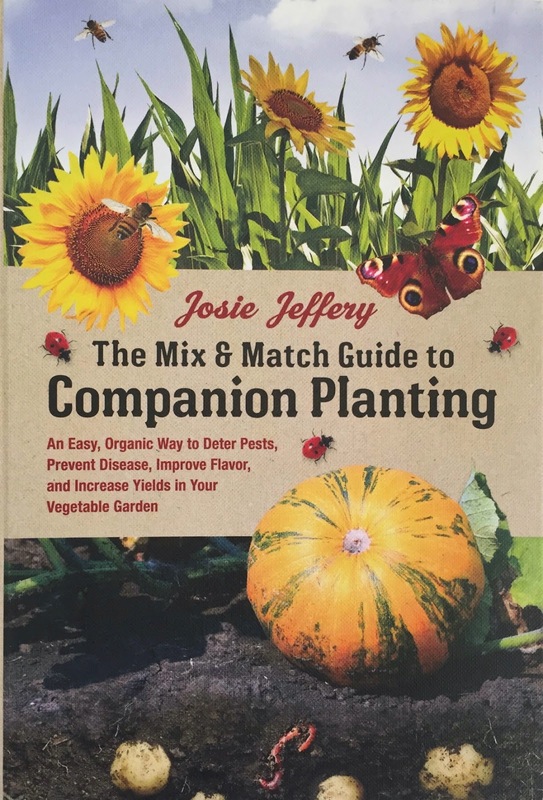 Enter: The Mix And Match Guide to Companion Planting by Josie Jeffrey. I received a copy of this book from Blogging for Books, in exchange for my honest review. In the first part of this book, there is some basic information on companion planting, along with how to use the book, as well as basic botany and gardening information. If you're completely new to gardening, this book would give you a good start. Remember those mix-and-match books you had as a child, with characters split into three parts, and you could make a wrestler look like a ballerina with a duck head? That's how this book works. There are three sections: Aboveground Companion, Central Crop, and Belowground Companion. There are 25 plants in each section, arranged in alphabetical order: certainly not every plant you'll ever put in your garden, but plenty to get you started learning about companion planting. First, you choose your Central Crop, and then look for plants that will play nicely with it in your garden. Each central crop card has a row of colored dots across the top, and a row across the bottom. By matching those dots with cards above and below, hopefully I will find good plant pairings. For example, let's say I want to plant turnips. As I flip through the top and bottom sections, I learn that rosemary is said to go well with brassicas (turnips are a brassica), so that would make a good aboveground companion. I also find that peas are good companions for turnips, so I could plant peas as a belowground companion. According to the handy-dandy key in the front of the book, rosemary attracts pollinating insects, turnips repel pests and deter soil pests, and peas can help increase the health of other plants, increase the yield of other plants, and improve the soil. Of course, turnips being root crops, and knowing that rosemary grows into a shrub and peas can be quite tall, I will have to be careful about arranging them together, but they should make a nice garden combination. 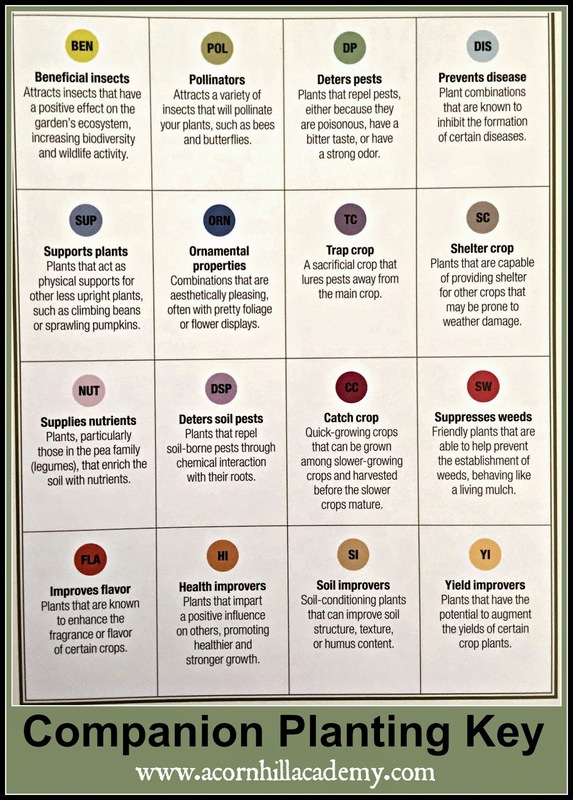 Overall, I'd say this is a nice beginning guide to companion planting. It's a fun book to help you pass the winter weeks as you plan your garden for spring! I received a copy of this book from Blogging for Books in exchange for my honest review. No other compensation was received and all opinions are my own. I'm disclosing this information in accordance with FTC regulations.